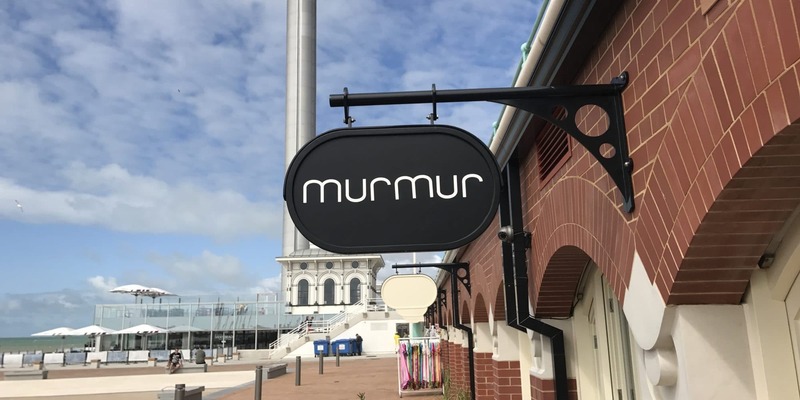 It’s been quite a while since I went out as a reviewer, but when the opportunity popped up to go to Murmur I couldn’t resist. I even got to bring along my friend Annie. 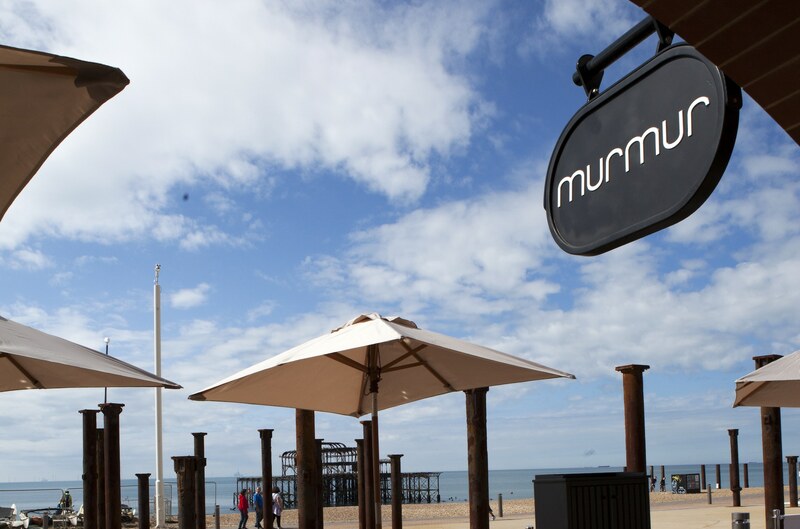 Murmur is tucked away under the refurbished arches very close to what is left of the West Pier, and the shiny i360. It is Michael Bremner’s second restaurant in Brighton and it puts on a delicious meal let me tell you. 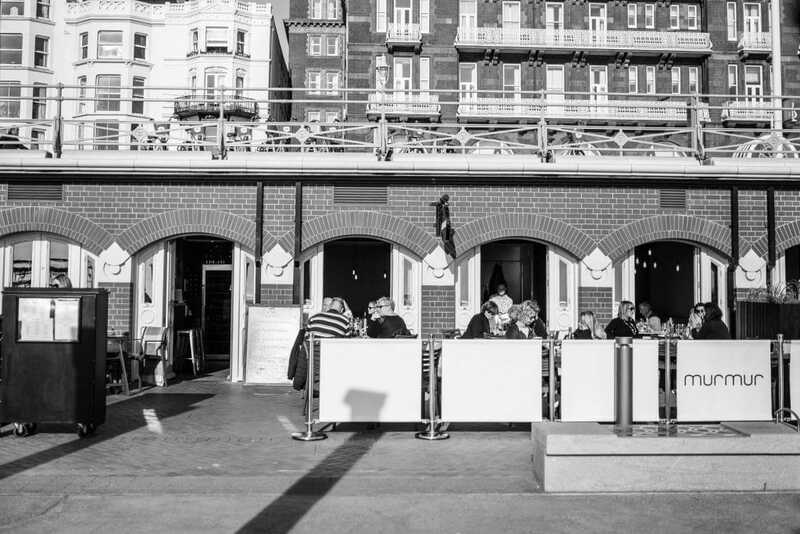 Even though Michael is all famous like and on the telly and everything it is not just the food that makes this place. 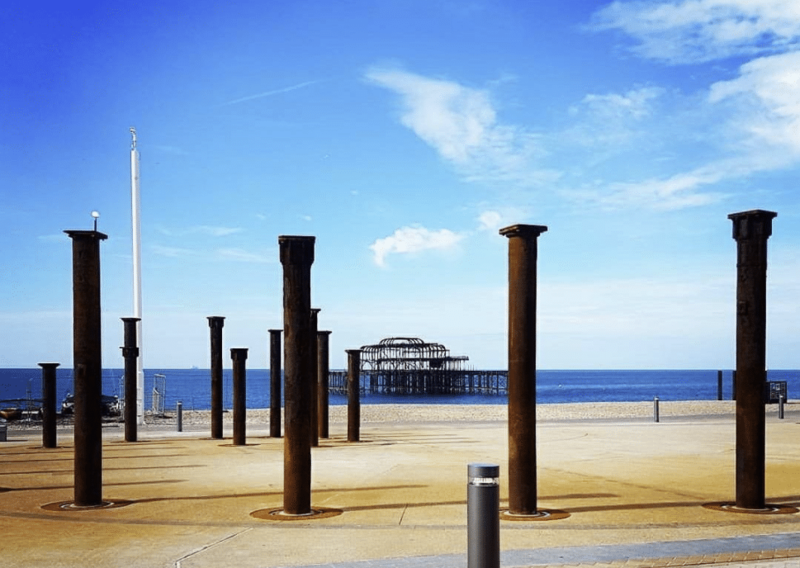 The staff are great and the venue has a light and bright seaside feeling to it which makes it a very relaxing place to be. We arrived and were greeted and quickly seated at our table in the corner. We had water while we perused the menu. We had a chat with Layna who was our waitress for the evening. Based on input from her I went with lobster followed by pork and Annie opted for duck leg followed by roast cod. Annie has to go gluten free which we had let Murmur know ahead of time. Once we had chosen our food we opted for a glass of Bacchus for me and a glass of Verdejo for Annie. “Yep”, she said, “ooh that’s nice…better words than really good and amazing”. Our starters arrived and – after a bit of faffing with the camera – we tucked in. – said my dinner partner. It can be hard to choose the appropriate level of superlatives for a meal like this. 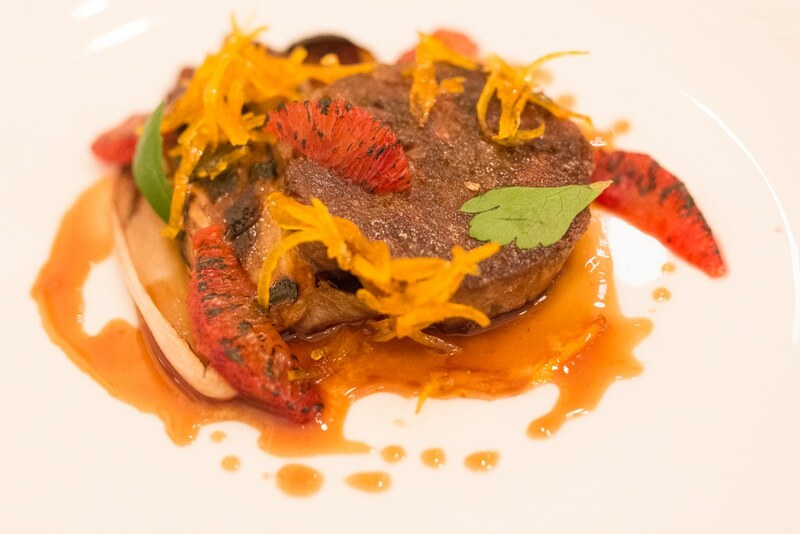 The duck was served with blood orange, chicory, and candied orange. Orange and duck is a proven flavour combination and the bitterness of the chicory tied itself in very well indeed. Candied orange was sweet, the sauce had a touch of sourness to it and the fresh blood orange cut through it all with it’s fresh clean flavour. 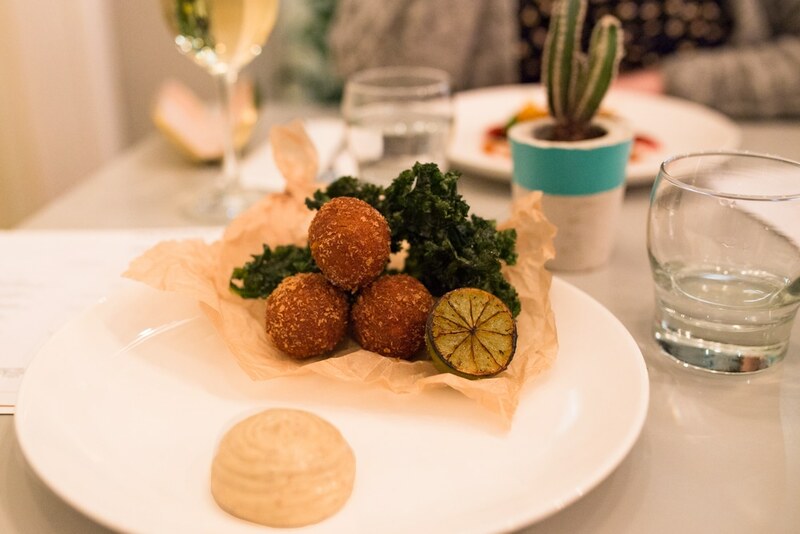 On my side of the table, the lobster croquettes (not gluten free so no need to share, thank goodness) were a real treat. Soft and creamy insides, gentle crunchy crust all served with a delicious bacon mayo. I added a squeeze of lime and I loved them. 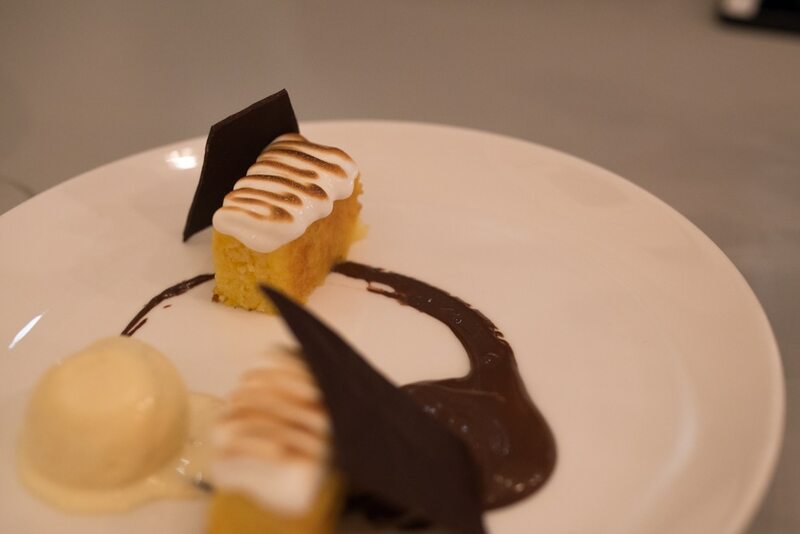 They are the epitome of where comfort food meets refined flavours. The mains arrived and I did my best to photograph them though I am not sure I am able to do them justice. The pork was served as a Korean bossam style dish. Which means that you can make it into a sort of pancake using a cabbage leaf. This was explained to me so I could tuck in confident in the knowledge that I was not committing some terrible faux pas. I think this is one of my favourite things about Murmur. 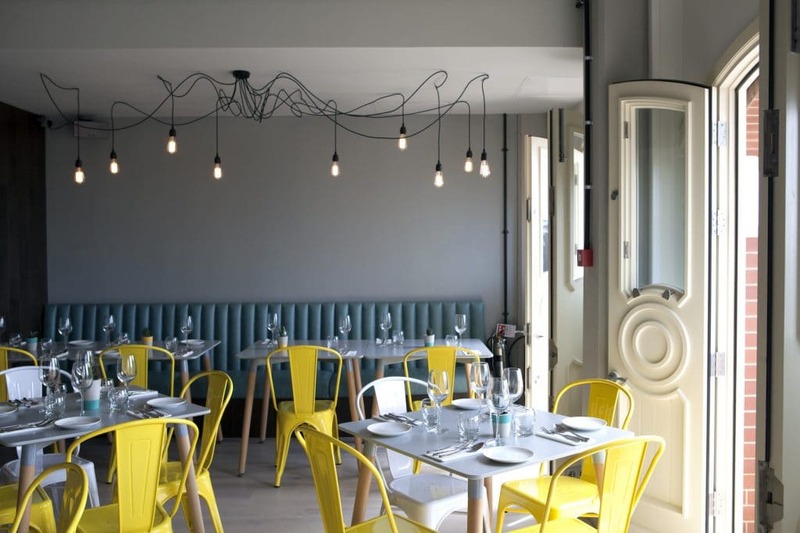 This is delicious refined food but served in a warm, welcoming and lighthearted atmosphere. The pork was as marvellously tasty as you could imagine. The pork melts in your mouth. The lovely layers of fat – enough for flavour but not too much – sit so well with the tangy kimchi and the fresh onions. 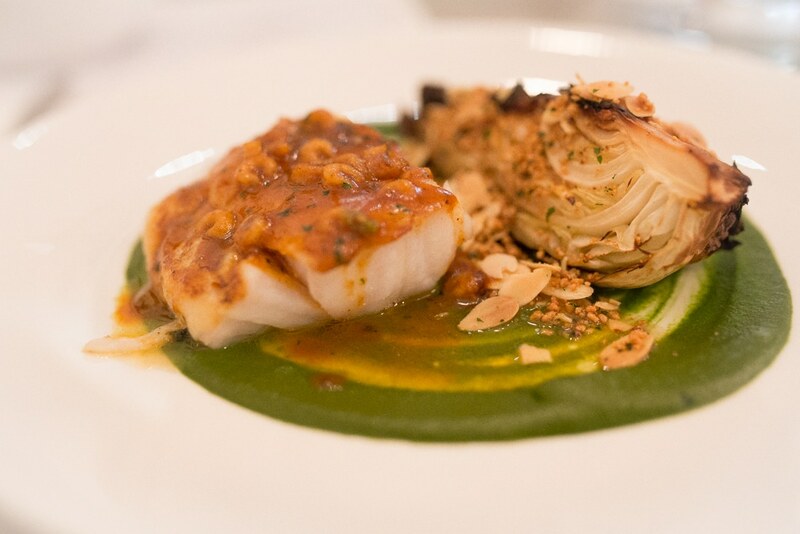 The hispi – a type of cabbage in case, like us, you weren’t sure – was amazing. Slightly sweet, chargrilled and crispy with the added crunch from the almonds. 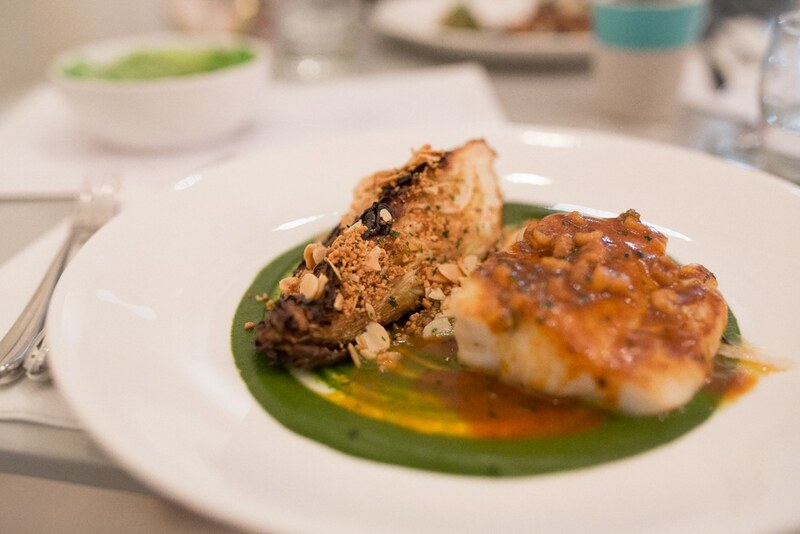 The savoury element comes mostly from the parsley puree and the cod was cooked beautifully. For pudding we went with a corn cake served with chilli chocolate sauce, vanilla ice cream, merengues, and a custard tart served with rhubarb. The corn cake was delicious when combined with the other flavours on the plate. It was also a great example of a dish which is gluten free by default rather than by design. 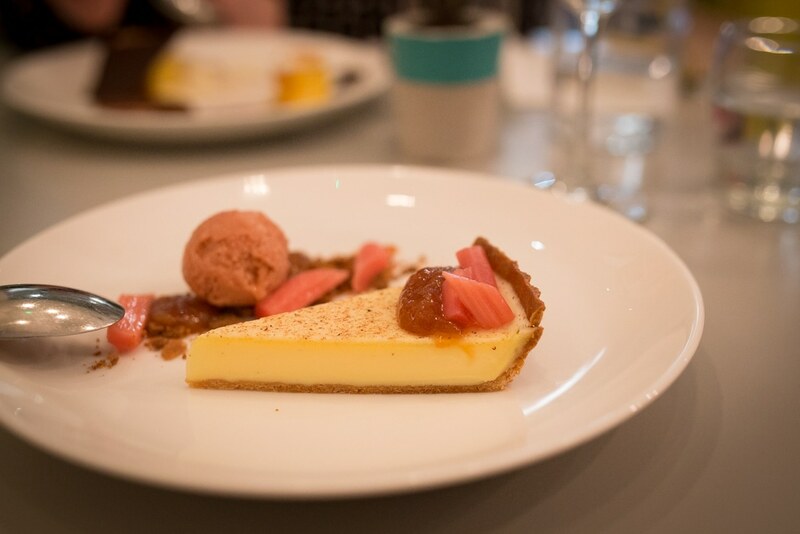 My custard tart was lovely and the poached rhubarb and rhubarb sorbet were a great addition. In my head, you can’t get a much more English pudding than rhubarb and a slice of custard tart. At the end of the meal we opted for a tea. I had a lavender and camomile brew which I thought was pretty brave of me but I actually enjoyed it. Annie finished the evening with a macchiato. 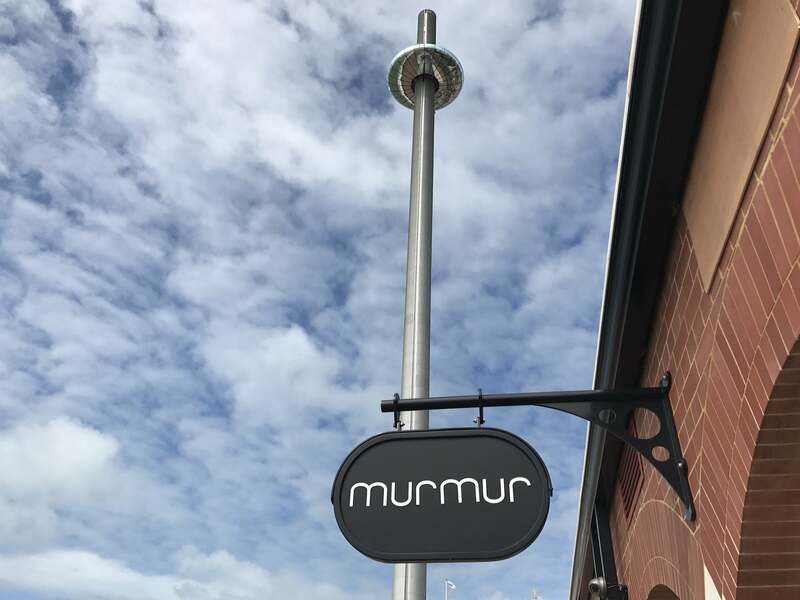 It is safe to say that we thoroughly enjoyed our visit to Murmur. 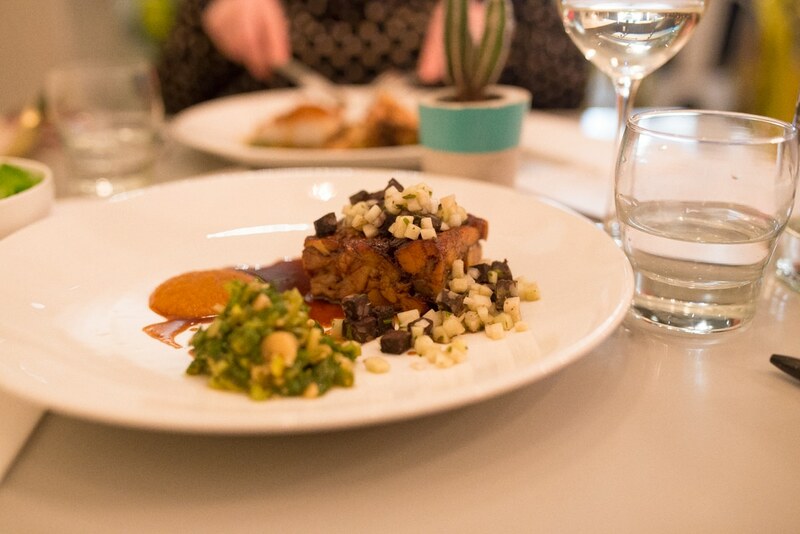 We ate beautiful delicious food in a relaxed setting with attentive and knowledgeable staff – everything to love.